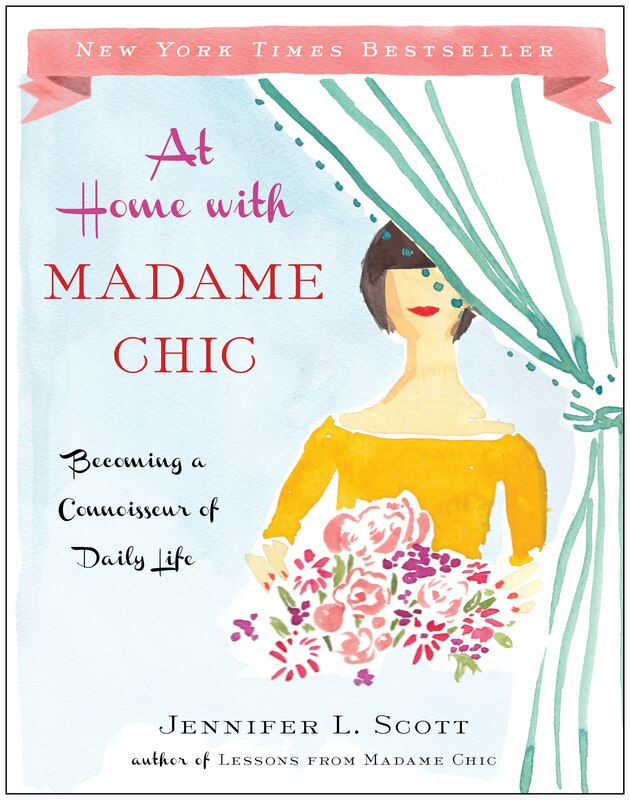 I am so happy to announce that my new book, At Home With Madame Chic: Becoming A Connoisseur of Daily Life, is now available for preorder. The book comes out October 7th of this year and I couldn't be more excited for you to read it. At Home With Madame Chic will be filled with beautiful illustrations from Virginia Johnson, who also did the lovely cover you see above. I couldn't be more excited and passionate about this book. Thank you for your support! In today's Etiquette Chat we discuss the art of the common courtesy greeting. You know what it's like. You're walking down the sidewalk in your neighborhood and someone is walking toward you. Perhaps you are both walking your dogs or you are on your way to run errands. As the person approaches you look at them and smile or nod expecting the same courtesy in return but they just keep on walking without acknowledging you at all. The common courtesy greeting, the kind you give to your neighbors as you pass them in the morning, the kind you give to a store clerk before you ask them a question, the kind you give to the lady ringing up your purchases at the grocery store are not trivial, but very important. These greetings bring us out of our heads. They help build community and might even begin to thaw the most frozen of hearts. Last Thursday my husband and I celebrated our 8th wedding anniversary. Eight years of marriage and two children later, what a wonderful feeling. Relationships can be challenging. They can be hard, but the great thing is that they provide an opportunity for you to constantly work on yourself. There is no hiding from your "issues" when you are in a committed relationship. My best marriage advice is to appreciate the one you're with. Focus on all of their many gifts, their strong suits, and the things about them that you are grateful for. Avoid the "grass is always greener on the other side" syndrome by constantly reminding yourself of the small pleasures that this person brings to your life on a daily basis. Mr. Connoisseur... I am grateful for you! This week I would love to know... what are your thoughts on the common courtesy greeting? Any great marriage advice you can share with us? 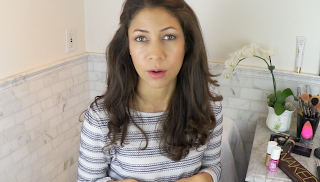 Any requests for future etiquette videos? Let me know in the comment section. Happy Mother's Day! I am so blessed to have such an amazing mother and feel so grateful to be a mother myself. A mother's work raising the next generation is so important and you should be treasured, each and every one of you. I hope you have a marvelous day with your family. Thank you for your amazing and supportive response to last week's video on Vulgarity No More. You have voiced your opinions. They matter and they have been heard! I will continue to explore this topic in future posts and videos with the hope that we can resurrect a more elegant society. Thank you for helping me in these efforts. If you follow me on twitter, facebook or instagram you've already heard my exciting news: I have been invited to give a TEDx talk in New York City on September 6th of this year. This is such a dream come true for me! The talk will be taped and there will be a link for you to watch it. I am also working on scheduling a meet up or book signing with the hopes that I can meet some East Coast readers. I will keep you posted. Thank you to author Laura Saba for nominating me for this talk and thank you to TEDx organizers Chris Ojaste and Tim Desiderio for selecting me. It is so appreciated! This week's video was actually shot a few weeks ago. We get ready together and I show you some of my spring makeup tricks, including how to create a glowy cheek using cheek stains. As always, you do not have to use the exact makeup I use in this video as there are comparable shades and matches at every price point. Have fun doing the detective work and finding out what works best for you! 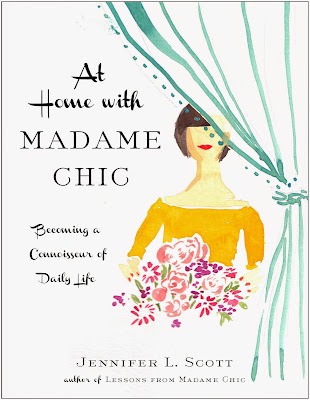 If you are unable to see the video above, click here, look in the sidebar of this blog, or visit my channel: www.youtube.com/TheDailyConnoisseur. If you never want to miss a video please subscribe to my YouTube channel (it's free!) and upon subscription select the option to receive email updates. 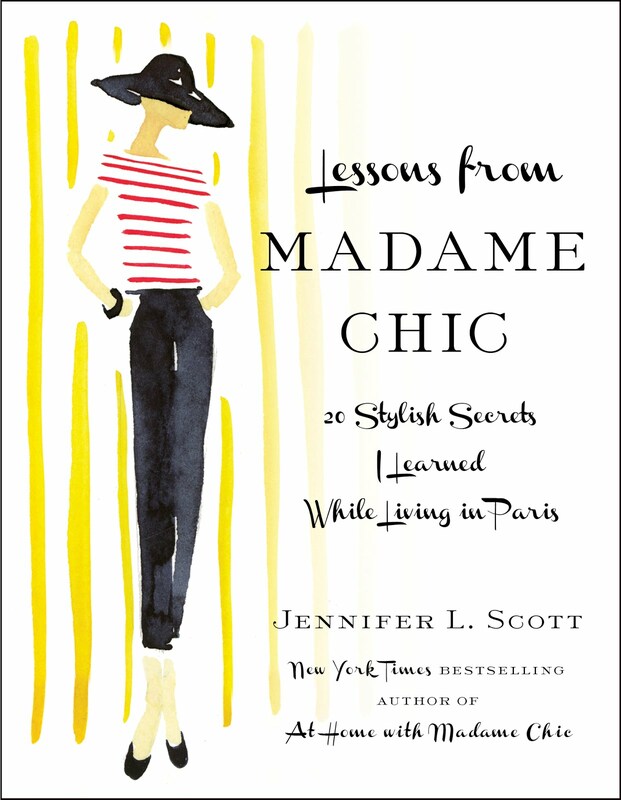 Thank you to Christine from The Refined Side for your lovely book review of Lessons from Madame Chic. The manifestation of a rose is a magnificent thing. Here is my first double delight of the season from the container garden on my patio. When you are out walking today try to get out of your mind. Don't focus on your problems or your to-do list, put your phone in your pocket. Take note of the beauty in the landscaping around you, even if is only a tiny weed flower poking out of the concrete. Appreciate nature and be in the now. 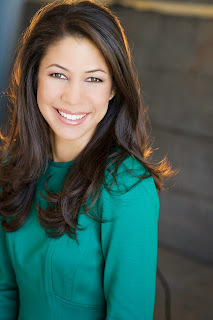 I would love to hear from you... how do you like the makeup look? If you try it out send me a picture on social media with the hashtag #lenomakeuplook. 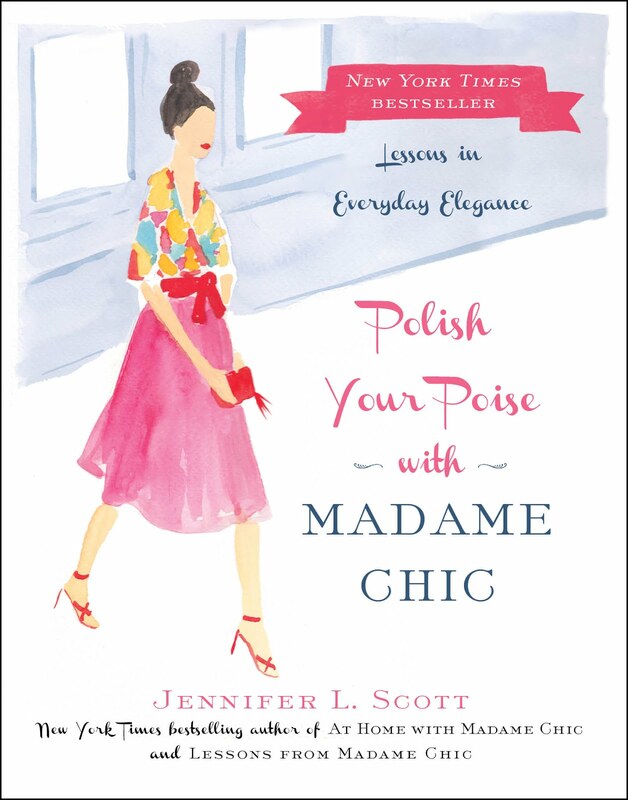 As always, I'd love to hear your thoughts on everything else like TEDx, #VulgarityNoMore and Madame Chic inspiring thought. FTC: all products used in this video were purchased by me. All opinions remain my own. I have been wanting to do this video for such a long time discussing the disturbing trend of violent, vulgar and crude behavior on reality TV. The straw that broke the camel's back was watching only 5 minutes of the recent Real Housewives of Atlanta Reunion Show where I got an eye-full of violence, crass language, crude gestures and copious amounts of vulgarity. And it's not just this show, it's so many Reality TV shows on the air right now. Whether we like it or not these "stars" are inadvertent role models for our young generation of girls. Do we really want our young ladies to see this kind of behavior on television that is being billed as "reality" and think that it is acceptable? As I wrote in my Huffington Post article from last year, is vulgar really the new normal? Well if these women on reality TV can express themselves, so can we. We need to send a message to the networks that we are tired of watching manufactured cat fights, unnecessary violence and mouthful after mouthful of vulgar language. Our young girls need positive role models: women who embody kindness, intelligence, grace and class. We need to tell our young girls that they do not need to be a negative drama queen to get ahead and get noticed, that they don't need to be jealous of other women but rather should be supporting each other, that they do not need to exploit themselves in order to attract a man. This may be the reality on television, but it is not our reality. And thank you for continuing to be a part of this special community of daily connoisseurs, where we can create our own reality while pursuing beauty, intelligence, expansion and elegance together.